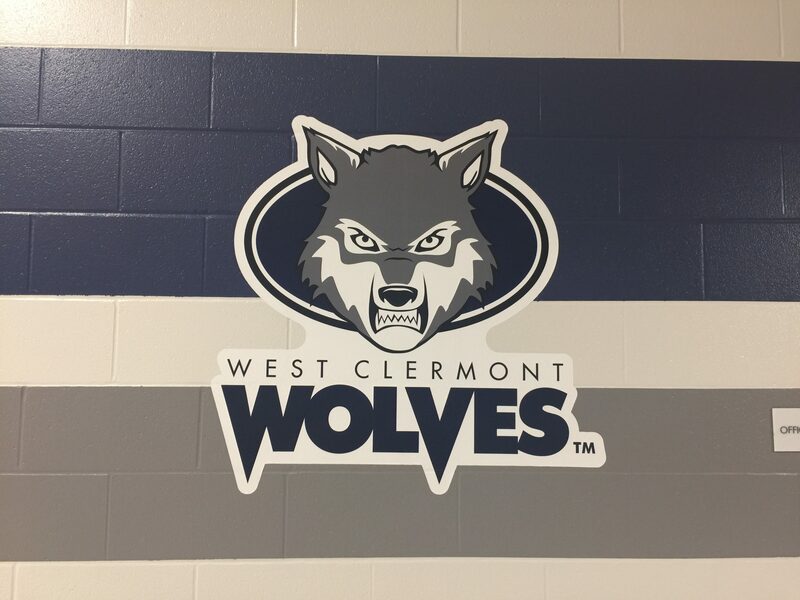 Rival Schools Become One: West Clermont High School. So, How Are Things Post-Merge? West Clermont High School (WCHS), the result of the merge of long-time rival high schools Amelia and Glen Este, is just over half way through its very first school year. Opened in August of 2017, students from both schools came together under one roof—into the home of the “wolves”—with a few obstacles and major achievements in their future. The Amelia Barons and the Glen Este Trojans have spent much of their past as rival schools. 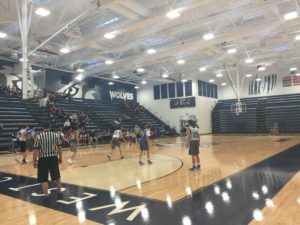 The rivalry was once much more significant, but the two schools were asked to merge together into one high school as the West Clermont Wolves. Taxpayers incurred no additional expenses during the building of WCHS, and an arrangement was made so that the school district received tax funding under a Tax Incentive Financing agreement (TIF) for the land, which funded most of the project. 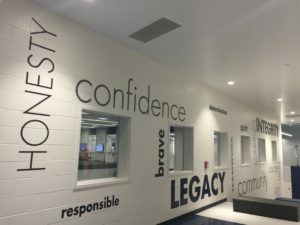 After the plan was announced, the new building started to make progress and in 2017—approximately two and a half years later—it opened as the district’s new combined high school. The new building has modern science, engineering, and chemistry labs for academic purposes, and modern technology and security features for the campus—both privileges that West Clermont students didn’t have before they merged. The new school also came with new facilities for students, their parents, and the rest of the community. WCHS has a brand new performing arts theatre, two gymnasiums, one swimming pool, one heated therapy pool, a football field, one softball field, one baseball field, a HealthPlex, and more. The HealthPlex, a fitness club sponsored by Mercy Health, is attached to the school and is open to the community. The HealthPlex claims that the WCHS location has “state-of-the-art facilities with innovative, healthy activities for all ages.” With group fitness classes, personal trainers, basketball leagues, childcare, and so much more, the HealthPlex serves as a useful resource center for the school and even offers a membership discount for students. One hundred and thirty-one full time faculty and professional staff members are currently employed at WCHS, with 2,600 students enrolled. Some of the faculty and staff members have been in the district for years, while others are completely new. Similar to every school, some students at WCHS feel that teachers and administrators are too strict or detached, while other students feel that they have good relationships with their teachers and administrators. 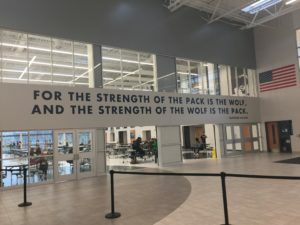 One student, a sophomore at WCHS, agreed that there does seem to be a disconnect between students and staff. For example, this student stated that the school doesn’t have morning announcements. This is something that both Amelia and Glen Este High Schools used daily as a way to remind students about upcoming events, address conflicts or issues within the school, and to simply get the morning started. The student claimed that due to the lack of morning announcements, “Most people don’t even know what the principal, Mr. Gebhardt, sounds like.” Instead of using intercom announcements, the school relies on televisions to play slides that show information about clubs, events, and other happenings within the school. Another student, also a sophomore at WCHS, stated that because of the size of the school, “It is very hard to create relationships between the students and administrators. My experience has been great with my teachers. We all are similar in the fact that this is new.” The student also mentioned that because of the opening of the new school, everyone involved is in the same boat, so it occasionally helps create bonds between students and staff. Although some of the students and staff feel that the transition has gone smoothly, others would suggest it is chaotic. Multiple rumors have circulated within the community about fighting and bullying at WCHS. One of the student fights occurred in the cafeteria when a female student attacked another female student from behind and started hitting her. Some rumors claimed that the fight was unprovoked, while others claimed it was a result of a social misunderstanding in the cafeteria a few days before. Rumors spread and the fight was discussed extensively; it was even covered by local news stations. The video surveillance of the conflict was posted on Facebook, causing a social media uproar, and it left the community wondering what was going on within the new school. Most students claim that these conflicts are exaggerated and that fighting isn’t a huge issue within the school: “I think some of the fights at school are made to seem bigger and more dramatic than they actually are,” a sophomore said. Mrs. Erin Brewer, WCHS’s ninth grade guidance counselor, has been in the district for fifteen years. Before the merger, Mrs. Brewer was Glen Este High School’s ninth grade guidance counselor. When asked about fighting within the school, she said, “Yes, there have been fights, but the administration team has done a good job of consistently enforcing school rules and holding students to a high standard of conduct.” Mrs. Brewer also said that bullying doesn’t seem to be a bigger issue than it usually is amongst ninth grade students. A video on Facebook became popular after a senior female student at WCHS recorded and posted footage of a group of male students harassing her at a cafeteria lunch table. The student was just coming out of home schooling and had started her first day of her senior year a few days late because of a death in the family. The footage captures the bullies throwing food at her and calling her names, all in an effort to make her switch tables. 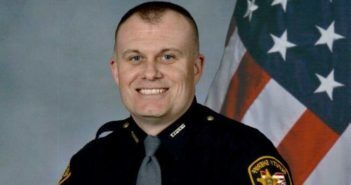 The victim reported the incident to administration, and the team says it has been handled, but the victim is still considering transferring back to home school. With an administrator on every floor at all times, response time to incidents is swift and will help the school avoid major conflicts, whether they are between students only or students and their teachers. A combination of administration, the campus resource officer, and the modern security technology within the school helps the students feel safer during school hours. Additionally, many students said that there is a clear sense of community at WCHS. Students are purchasing spirit wear and taking pride in their new “pack.” Some students still wear their Amelia and Glen Este clothing, but not as a symbol of diversity. The WCHS football team has also been very successful in its first year. Lead by head coach Nick Ayers and all of the talent combined from the two rival schools, the team made it to the playoffs, making history in its first year in existence. They ended the season 7-4 and held a three-way tie for the Eastern Cincinnati Conference (ECC) championship with Anderson and Milford. Many students stated that the success of the football team helped create a sense of pride within the school. The student section during football games was said to be very energetic and supportive. 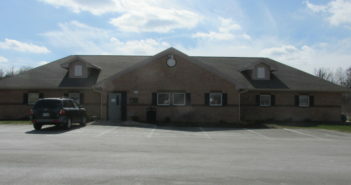 Glen Este and Amelia Middle Schools also merged together into West Clermont Middle School (WCMS), in the building where Amelia High School once stood. Late last year, an eighth grade student passed away due to a traffic accident, leaving the district shocked and heartbroken. Students in both WCMS and WCHS wore green, the student’s favorite color, to school the following Monday in remembrance of him, even if the students didn’t know him personally. Grief counselors from the Clermont County Crisis Team and Child Focus remained on campus at the middle school for Patrick’s classmates, friends, and any student who needed someone to talk to about their grief and loss. The community then came together to attend a celebration of this student’s life at the Mt. Carmel Christian Church, while West Clermont schools remained supportive of each other during the loss. Most students and parents agree that the school does have a few kinks to work out, but that things are going pretty well for WCHS: “I think that things are going as well as expected. 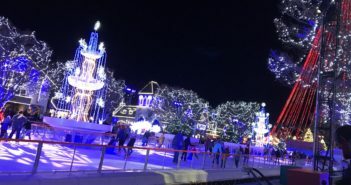 Yes, I miss Glen Este and the family feeling that we had established there, but this is what we have now and I think that we are making it the best it can be,” a sophomore commented. 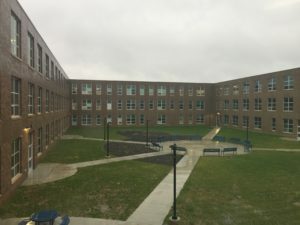 The West Clermont school district was in desperate need of a new high school for over ten years. The amazing and unique opportunity has now lead to the merger of two rival schools, to create one high school and one middle school, resulting in some expected conflict but many amazing achievements and possibilities. Even in its first year, WCHS has already dealt with many conflicts and has overcome many challenges. The students, teachers, and administrators have some work to do—as does any school—but it is expected that the WCHS will continue to grow and thrive for many years to come.